The following events are coming soon at Pilgrim School. Please book as outlined below. Our school musical performances were held at the end of last term. Please check out our Event Gallery page for some photos of the Musical. 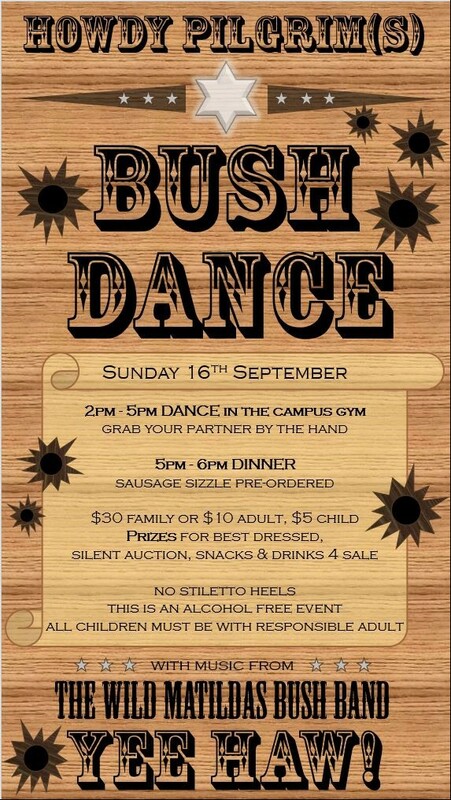 Join us at our bushdance and sausage sizzle on Sunday 16th September, 2 – 6pm in the Campus Gym.